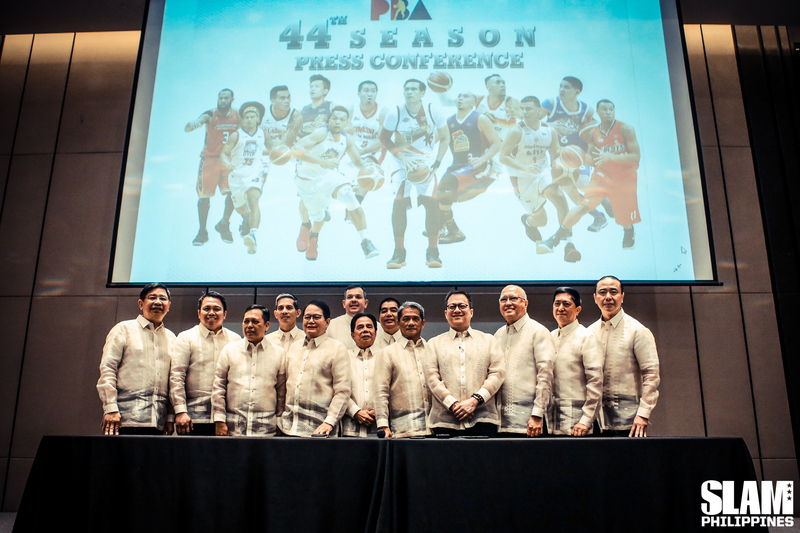 We went to the 2019 PBA preseason press conference so you didn’t have to. Here are the highlights—and only the highlights—from the governors’ announcements. Starting with the Philippine Cup, the PBA will be following FIBA’s directive on traveling violations and will allow 0-1-2. 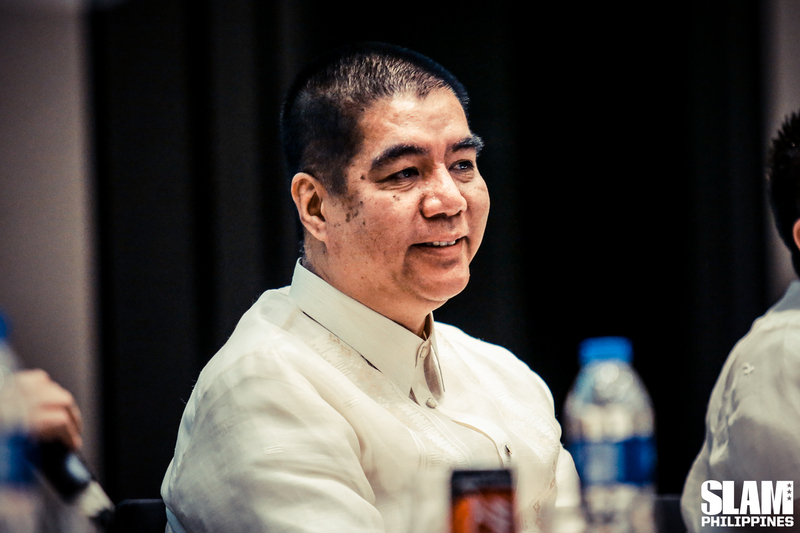 PBA Commissioner Willie Marcial shared that they’re working on securing “one or two” games to be played in international venues this season. For now, what’s confirmed is that the All-Filipino cup will have out-of-town games in cities like Pampanga and Davao. Good news, Hotshots fans! Magnolia governor Rene Pardo confirmed that Ping will be back in action either late February or early March. It’s not the season-opening comeback has some fans would have liked, but at least they’re getting him back within the all-Filipino conference. 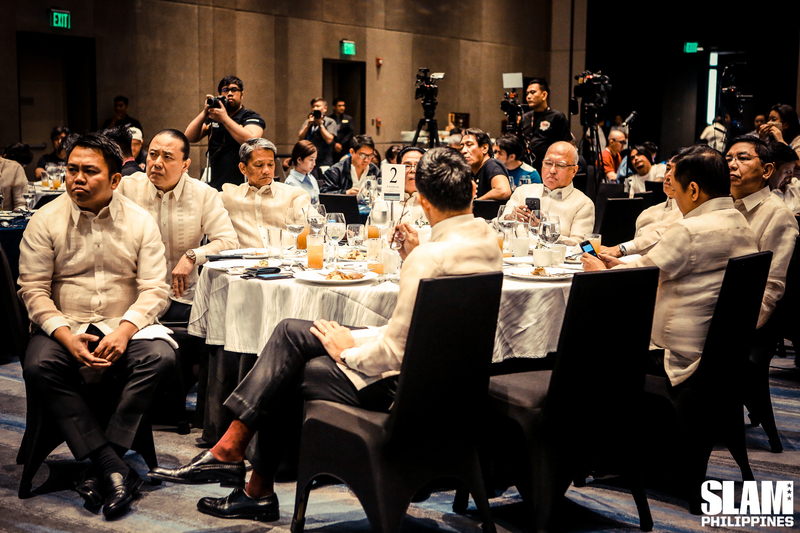 The governors of San Miguel, Magnolia and Ginebra were grilled by some reporters about their dominance, who asked whether the San Miguel group winning all three conferences last season decreases fans’ excitement. NLEX governor Rod Franco confirmed Kiefer Ravena is still out for the All-Filipino Cup. However, they’re still giving his fans something to cheer about after Franco announced Alyssa Valdez will be the Road Warriors’ muse in the 2019 Season Opening. “We chose Valdez because she embodies the values of excellence, grit, and resilience—which reflect Coach Yeng Guiao and the Road Warriors’ own philosophy. At the same time, it was important to us to choose someone who wouldn’t just represent our team in name only, but who is a true-blue supporter of the Road Warriors,” Franco said, adding that it’s a treat for NLEX fans who continue to wait for Ravena’s return. Other PBA muses this year include Pia Wurtzbach (Ginebra), swimmer Jasmine Alkhaldi (Blackwater), and in a suprise pick, Sharon Cuneta (Magnolia). Blackwater’s Siliman Sy revealed they have reached an agreement in principle with Ray Parks regarding his incoming salary, but are still in talks with the PBA office to clarify whether Parks’ case is similar to Christian Standhardinger’s previous case regarding finishing his contract with Alab Pilipinas in the ABL. Pardo says last season’s title results are a good sign for the health of the league. “The beauty of the PBA now is everyone expected SMB to win all 3 pero isa lang,” he said. Whether or not this pun was intended…nice one, Meralco.